Want to make a pound cake that won’t be dry? This is the perfect cake for you, here we add pudding mix to a commercial cake mix. Recipe by Judy Eynard. Jefferson City, MO. 1968. This golden pound cake is a diverse cake you can use to eat as is, or you may want to turn this into strawberry shortcake. Blend all ingredients in a large bowl, then beat at medium speed for 2 minutes. Bake in a greased and floured 10 inch tube pan at 350 degrees for about 45-55 minutes, until center springs back when lightly touched. Cool right side up for about 25 minutes, then remove from pan.Blend 1 cup powdered sugar with either 2 tablespoons of milk or 2 tablespoons of lemon juice and then drizzle over cake. I’ve never known a pound cake to have yellow cake mix as an ingredient. Pound cake dry? Warm a piece up, and put some butter on it. TRUST ME! There is almost nothing better in this world that hot buttered pound cake! This recipe has been around since the 1970s and has remained a standby for anyone who tried one. It isn’t a traditional pound cake, but it’s a great cake. You can use yellow cake and vanilla pudding mix as in this cake or make a lemon cake simply by substituting lemon pudding mix for vanilla. Add some lemon zest to kick it up a notch. Chocolate cake mix with chocolate pudding is decadent, particularly if you stir in chocolate chips. This is a forgiving recipe, you can add sour cream instead of water or substitute rum or bourbon for water. It can be baked in a tube or Bundt pan, a 9×13-inch pan or in layers. Just adjust the baking times. 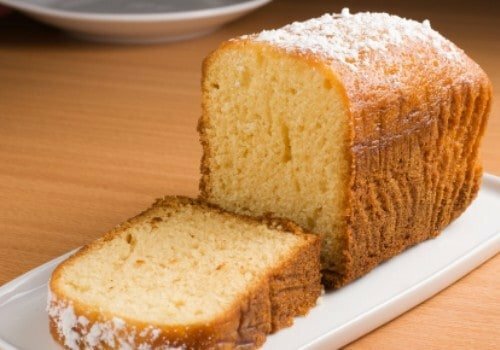 I have been searching for a pound cake recipe that I could double/triple/quadruple, etc for large cakes. None of the cakes have finished batter cup measurements so that I could tell how much batter I have and know how many batches will be necessary. I DO know how this works with commercial cake mixes though and this recipe seems to be the closest I am going to get to bakery style pound cake.